Sue’s books and videos provide teachers with an understanding of essential math concepts and are filled with engaging classroom activities that guide students towards meeting today’s standards. The activities are motivating and meaningful, and are aligned with the National Council of Teachers of Mathematics (NCTM) Standards and the Common Core State Standards. 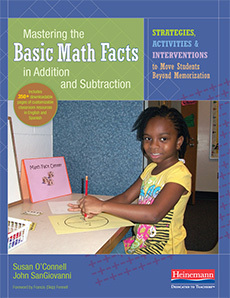 The books and videos strongly encourage a teaching style that incorporates problem solving, reasoning, communication, representation, and connections into daily math activities. 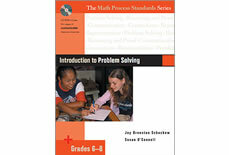 The Standards for Mathematical Practice are the heart and soul of the Common Core Standards for Mathematics. A deep understanding of these standards ensures that teachers elevate students’ learning of math from knowledge to application and understanding. But how can we incorporate the Practices into our teaching and ensure that our students develop these critical skills? 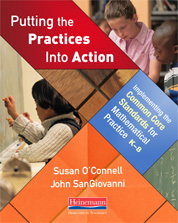 Sue O’Connell and John SanGiovanni unpack each of the eight Practices and provide a wealth of practical ideas and activities to help you quickly integrate them into your existing math program. Included is a guide for using the book as the focus of a professional study group and a web link to many classroom resources. Includes hundreds of customizable activities, templates, recording sheets, and teacher tools (hundred charts, ten-frames, addition charts, game templates, and assessment options) that simplify your planning and preparation. Over 450 pages of downloadable resources are included in English and Spanish translation. Many of the manipulative and activity templates on the CD can be easily customized to meet students’ specific needs. Reflection questions after each chapter make this book perfect for teacher study groups or professional development activities. Math is more than content. Through processes, like problem solving and communication, students explore math ideas and apply their math understandings. And today’s math assessments require students to be proficient with both math content and math processes as they challenge students to solve math problems and communicate about math ideas. 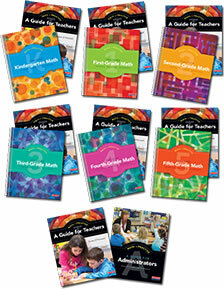 Books are available in three grade bands (PK-2, 3-5, 6-8). Included with each book is a CD filled with teacher tools (e.g., rubrics, checklists, graphic organizers) and customizable student activities to allow teachers to change names, data, or spacing for a quick way to differentiate instruction within the math classroom. 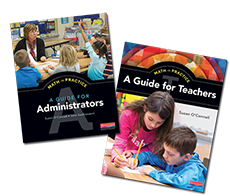 These books are practical resources for individual teachers who want to refine their skills, and are a popular choice for teacher study groups. For more information on any of the books in this series, go to Heinemann Publishing Company’s website at www.heinemann.com. For additional information on the books written by Sue O’Connell (Introduction to Problem Solving and Introduction to Communication) see the descriptions below. approximately 70 practice problems that are in Microsoft Word and can be easily customized to include names, topics, and data that are specific to your students’ needs. 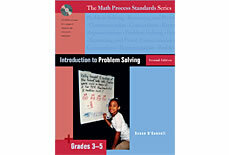 This book is a practical resource for individual teachers who want to refine their skills in teaching math problem solving, and is also a popular choice for teacher study groups. Introduction to Communication provides practical ideas for incorporating talk and writing into math lessons. The book focuses on the role of language in the math classroom both to build student understanding and to enhance teacher assessment. approximately 70 student writing tasks that are in Microsoft Word and can be easily customized to include names, topics, and data that are specific to your students’ needs. 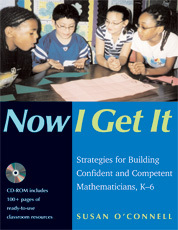 The CD writing activities are perfect preparation for the constructed-response tasks that appear on many state and district assessments.This book is a practical resource for individual teachers who want to refine their understanding of communication (talk and writing) about math, and the reflection questions at the end of each chapter make it a popular choice for teacher study groups. Writing is a powerful tool that increases students’ understanding of mathematical concepts, enables them to process and communicate their mathematical thinking, and helps teachers effectively assess learning. In first and second grade, teachers lay a foundation for “writing to learn” in mathematics by developing students’ analytical thinking skills, increasing their math vocabulary, and engaging students in a variety of developmentally appropriate writing tasks. 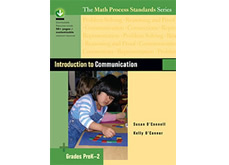 This video training program takes you inside real classrooms where Sue O’Connell, as well as first and second grade teachers, demonstrate numerous ways to create language-rich math learning environments that engage young students in thinking, talking and writing as crucial components of primary-level math instruction. You will observe the critical importance of teacher questioning, modeling and demonstrations in developing students’ mathematical thinking and writing. Writing about mathematics’ skills and concepts strengthens students’ understanding of mathematical ideas but also helps them express those understandings more clearly and coherently. As students in upper elementary classrooms encounter increasingly complex math concepts, they must use writing as a tool to help them analyze, process, and articulate new mathematical learning. In this video training program, Sue O’Connell takes you into intermediate grade classrooms and joins classroom teachers in demonstrating a wide variety of strategies that actively engage students in language-rich math learning. 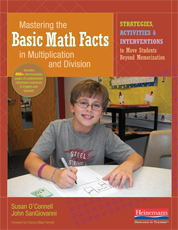 You will see students thinking, talking and writing about math concepts and skills, guided by teachers using techniques that can easily be incorporated into your own math program. This two-part video training program, featuring Sue O’Connell, takes you inside intermediate grade classrooms where teachers are using highly effective strategies not only to teach mathematical concepts and skills, but also to help students develop a repertoire of problem-solving strategies. 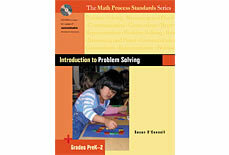 You will see practical, hands-on lessons and key instructional techniques for teaching problem solving. A training handbook is included which contains outlines, reproducibles, resource lists, and reflective questions. These video products are perfect for schoolwide professional development and faculty study groups as well as for individual teacher self-study.